Guest executive Chinese chef Anthony Dong from Futian, Shangri-La Shenzhen. What is the story behind a dish, and what significance does it hold? These are questions that hold deeper value in Chinese traditions, where food and cultural identity are irrevocably connected. Whether they’re dumplings delicately wrapped like silver ingots or bright round oranges for a bounteous, sweet life, the multi-layered nuances of identity, love and social interaction can be expressed through the country’s many cuisines — among the most notable, is the age-old Huaiyang cuisine. Poached bamboo fungus with asparagus in broth. 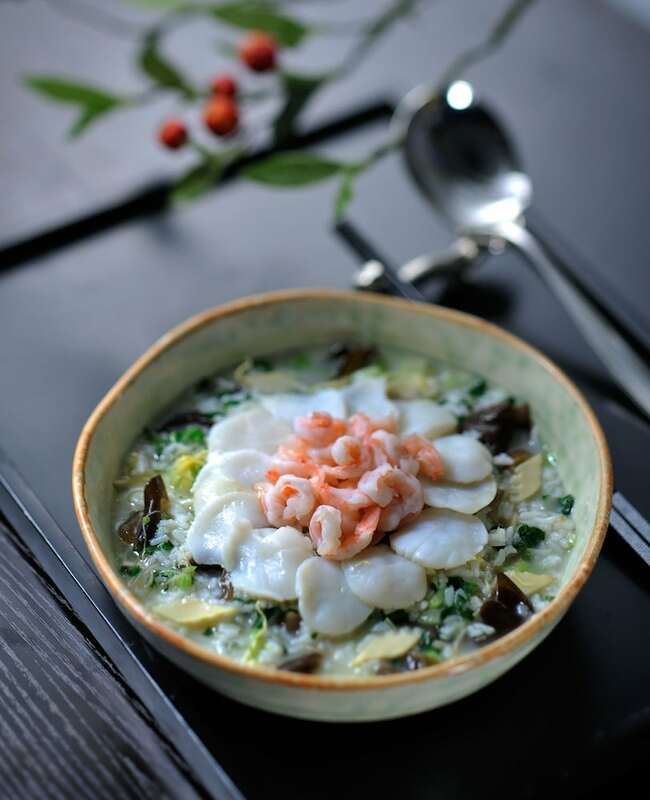 Huaiyang, also known as Jiangsu cuisine is one of the Four Great Traditions in the Chinese culinary scene — comprised of Lu, Huaiyang, Yue and Chuan, they represent the cuisines of North, East, South and West China respectively. Derived from the cooking styles of the regions surrounding the lower ends of rivers Huai and Yangtze, the cuisine is considered among the most popular and prestigious in China, and revolves around a deep understanding of freshness, original flavours, and the temperance of food. Pan-fried snow beef steak with black garlic sauce. 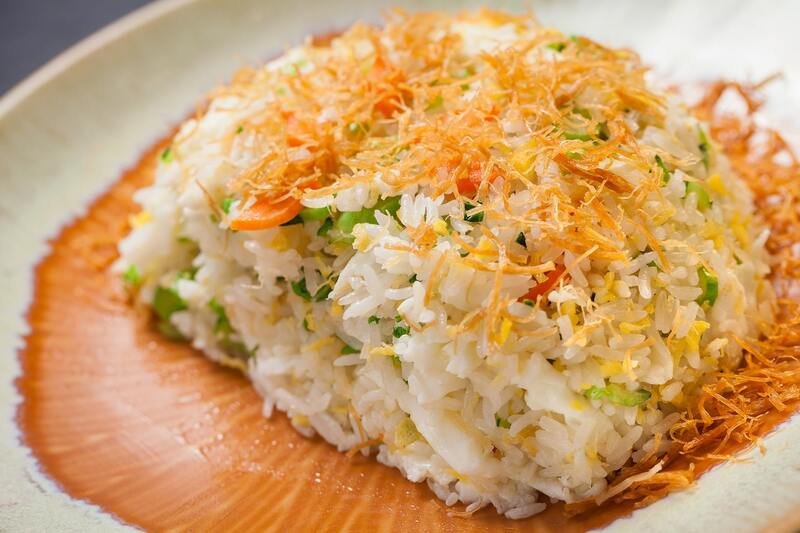 Like most aspects of Chinese tradition, Huaiyang cuisine holds a sentimental and poetic nature. Behind every dish is a legend and a tale, and some are even named after great poets. There are times when chefs would create poems about their dishes, and many believe you must have an understanding of poetry and the arts in order to truly master the cuisine. Double boiled bean curd and Matsutake mushroom in superior soup. While so many culinary techniques focus on seasoning or complex blends of flavours, in Huaiyang cuisine, each dish is based on its main ingredient. The freshness of this ingredient and, more importantly, how it is cut, is vital to the final outcome. Flavours in Huaiyang cuisine are lighter, lean closer towards sweet than spicy, and are often highlighted by pork, freshwater fish and aquatic creatures. Contrasting from the brash, hot fire stir-fry dominated Sichuan or Hunan cuisines from China, this cooking style is about meticulous stewing, braising, and careful steaming over a low fire. The elaborate preparation and intricate delicacy of the dishes are a big part of why Huaiyang style plates are often considered as “state-banquet dishes”. 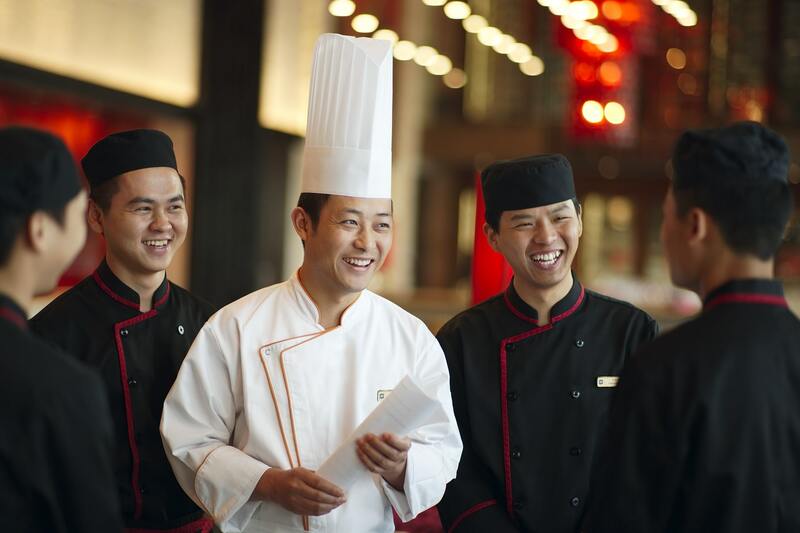 This March, Shangri-La’s Shang Palace invites Chinese food loving gourmets to discover this reputed cuisine, through ‘A Taste of Huaiyang Cuisine’, with talented guest chef Anthony Dong. With over 25 years of experience in the culinary scene, and a gold medal from the Chinese Cuisine World Championship 2017, chef Anthony takes to Thailand, with a contemporary reinterpretation of age-old Huaiyang recipes, expressed through modern displays. Expect dishes ranging from Yangzhou-style fried rice to a more filling dish of snow beef steak, plan-fried with garlic sauce. There’s also rice, simmered in broth with scallops, chicken, ham, vegetable and mushrooms. 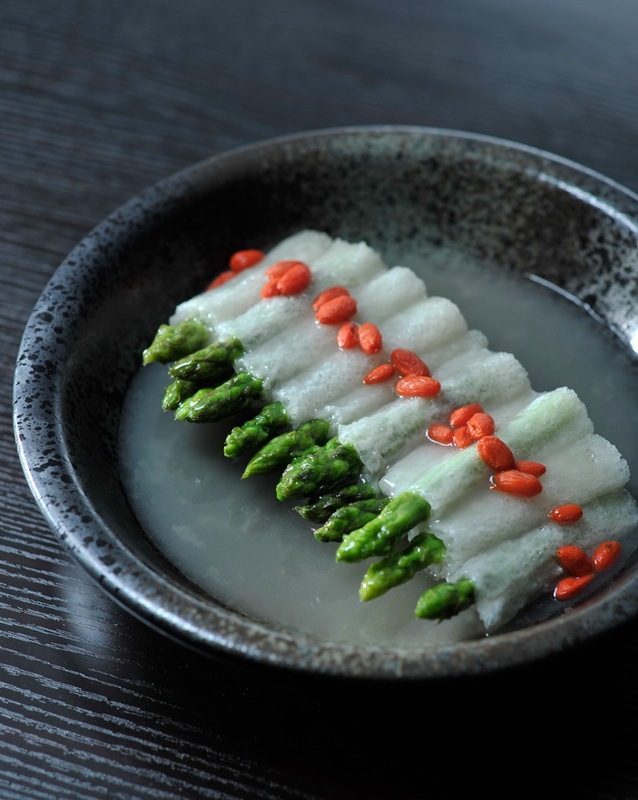 For the non-meat eaters, vegetarian favourites are also present on the special menu, including poached bamboo fungus with asparagus, served in broth. 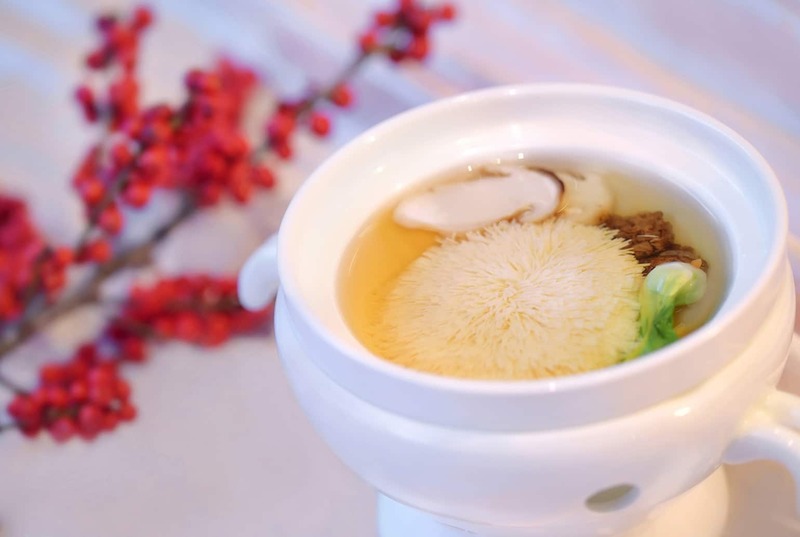 End off your meal on a sweet note that signifies good blessings, such as the sweetened bird’s nest soup with avocado, or sweet dumplings complemented by Osmanthus-flavoured wine. Rice simmered in broth with scallops, chicken, ham, vegetables and mushrooms. 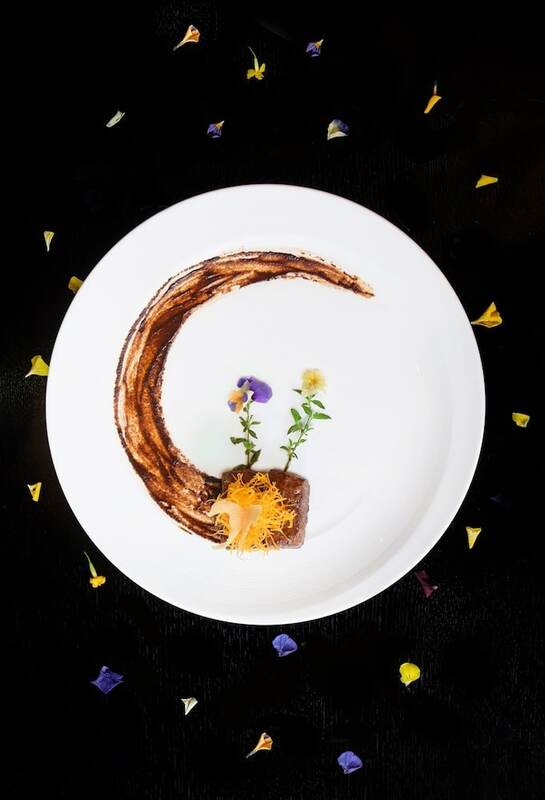 ‘A Taste of Huaiyang Cuisine’ by executive chinese guest chef Anthony Dong will be available at Shangri-La Hotel Bangkok’s Shang Palace from March 22 – March 31, 2019. To reserve your seats or find out more, call 0 2236 7777, or visit shangri-la.com.